I am a Glutino Vip Blogger and received product from Glutino for this post. Ohm my goodness. I had a lot of fun with my box of goodies from Glutino this month. I decided to make a Gluten Free Decadent Chocolate Raspberry Cake to have on hand for deserts this week. Using an electric mixer, beat the butter or margarine until light and fluffy. Add in the entire box of cake mix. Beat until it resembles crumbs. Add the eggs and vanilla, and beat until mixed well. Add in the sour cream and beat three minutes more. Spray an 8″ or 9″ round cake pan lightly with oil. Pour the cake batter in the cake pan. Bake in preheated 350° oven for 40 minutes. Remove cake from oven and let cool completely. I cooled mine overnight. To prepare the whipping cream, pour the cream into a large mixer bowl. Add 1 teaspoon vanilla extract. Beat on high for 3-5 minutes, until slightly thickened. Add the 1/3 cup of sugar or Splenda. Beat until thick and spreadable. 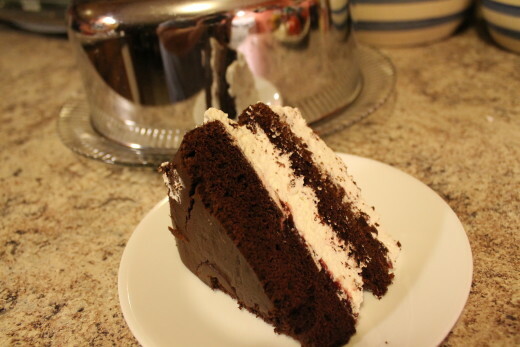 Place one of the cake layers on a cake plate. Spread with Raspberry Cake & Pie Filling. 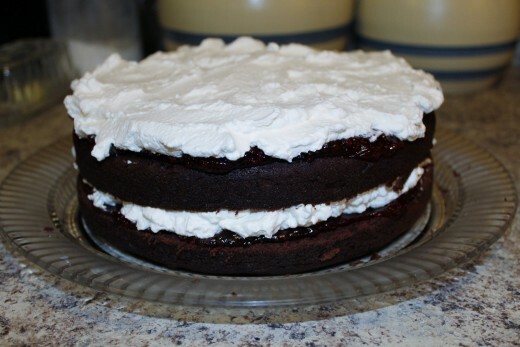 Spread half of the whipped cream over the raspberry filling. Top with the second layer. Spread with remaining raspberry filling, then with the remaining whipped cream. Keep this cake in the refrigerator until ready to serve. so good! and gluten free! This recipe looks tasty! I love that it’s gluten free. I haven’t tried a chocolate and raspberry cake before, but I would love to make this for my family. This really looks so delicious, that I give it five stars. I am going to make my best attempt, but I think you did a great job from the photos. Simple but sweet and not too heavy – perfect! 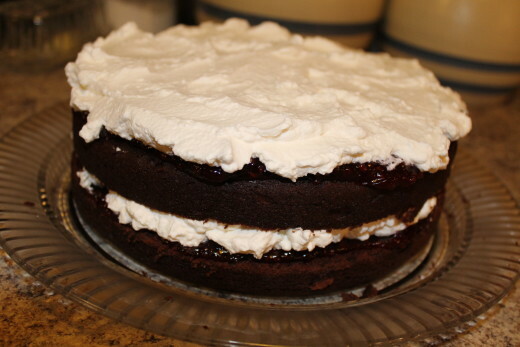 I really like this recipe for a Chocolate Raspberry cake! I like raspberry with chocolate and like that this is a gluten free cake. Thanks for sharing. I’m not a gluten-free gal, but I like how it can make really tender goodies – and the Splenda makes it doable for so many ppl who have to watch sugar! This looks so delicious. My husband is a diabetic and this would be something he could eat! This looks delicious! I’ll definitely have to try this recipe! 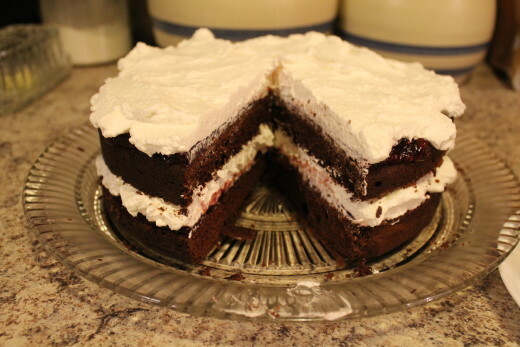 This chocolate raspberry cake does look decadent, I will definitely have to try it!